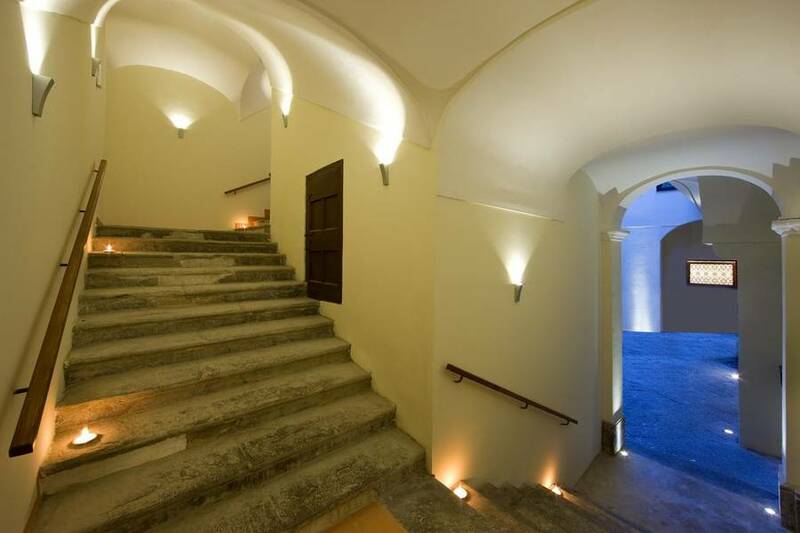 Open all year round, Palazzo Montefusco is a luxurious bed and breakfast located right in the historic center of Sorrento which offers travellers an elegant retreat on Italy's Sorrento coast, perfect for unwinding at the end of a day touring the nearby sights or meandering the picturesque lanes of the center of town. 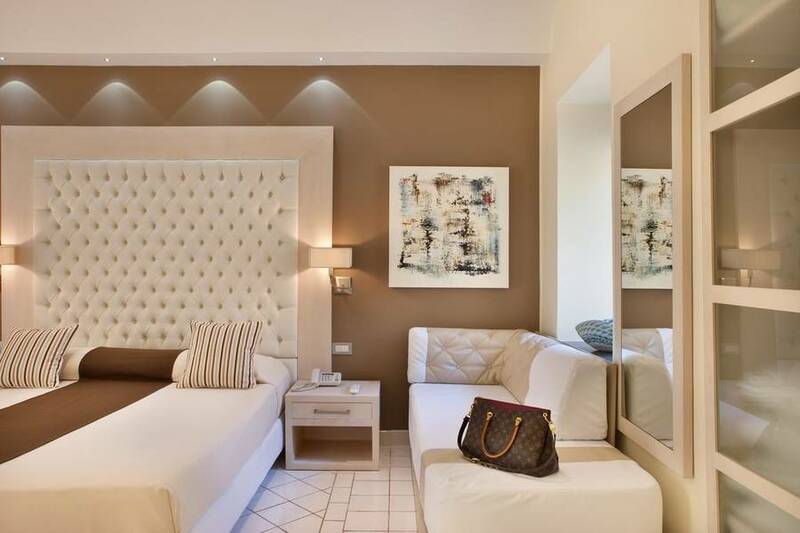 You'll love the elegant atmosphere at Palazzo Montefusco: the rooms and suites are airy and bright, carefully furnished to blend a refined decor and a welcoming atmosphere. 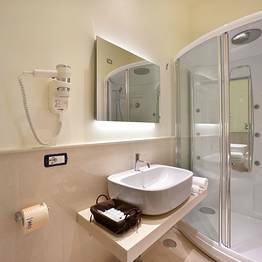 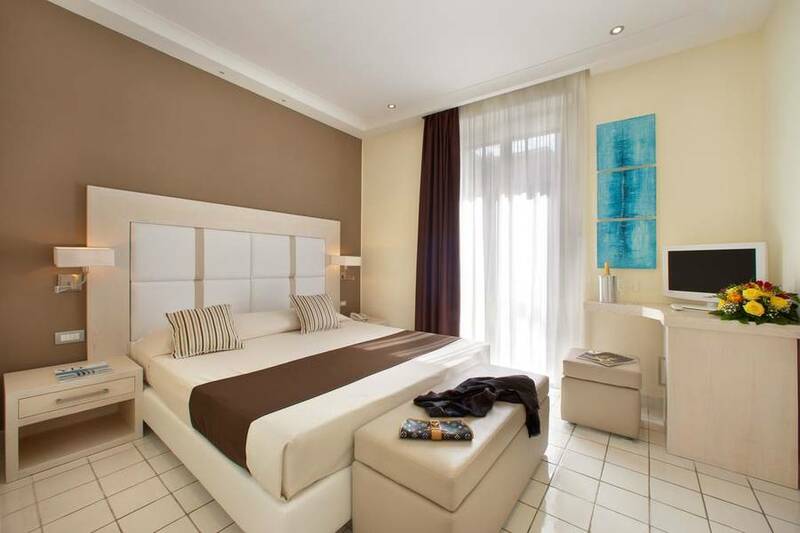 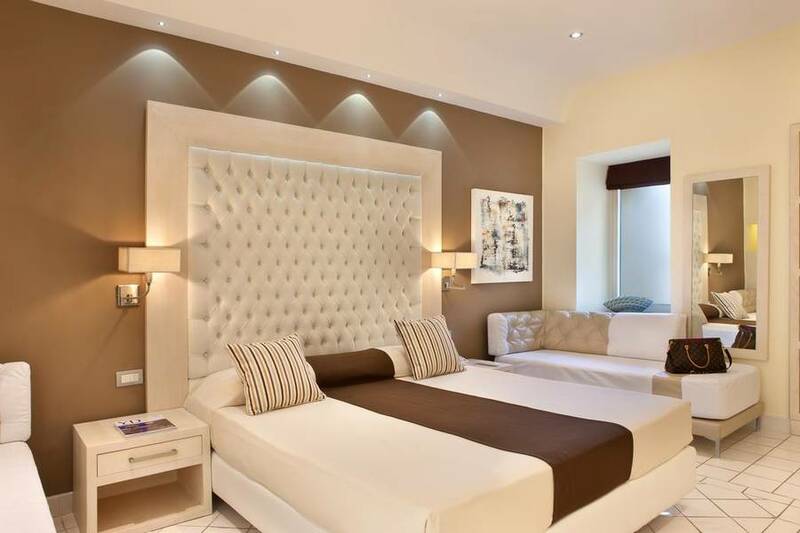 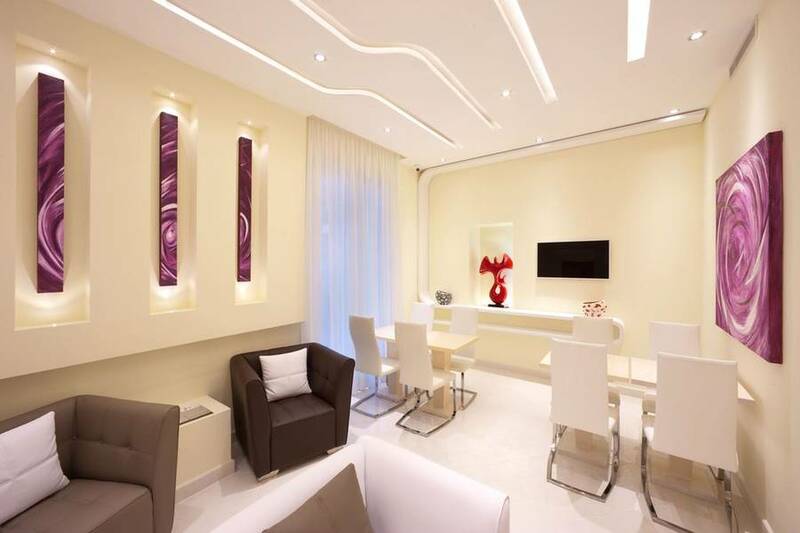 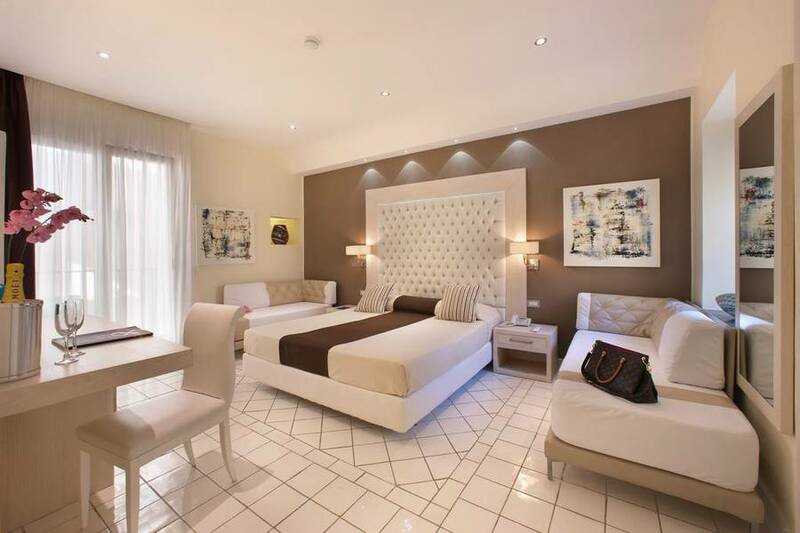 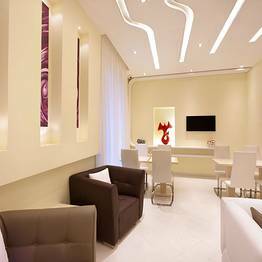 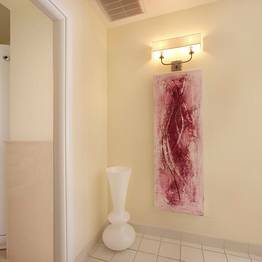 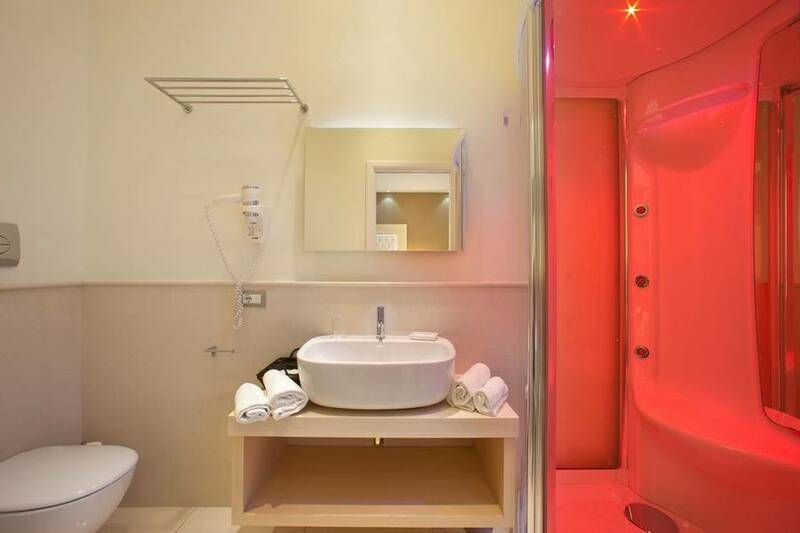 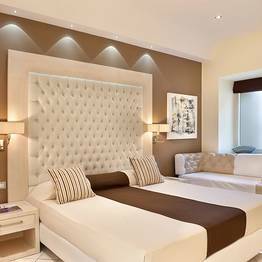 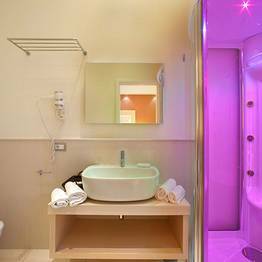 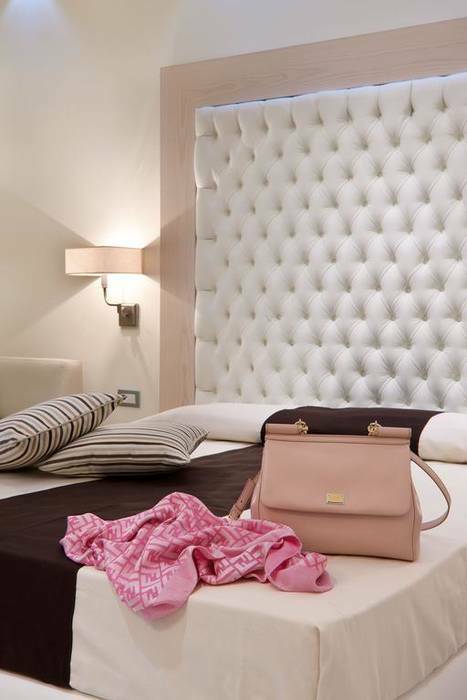 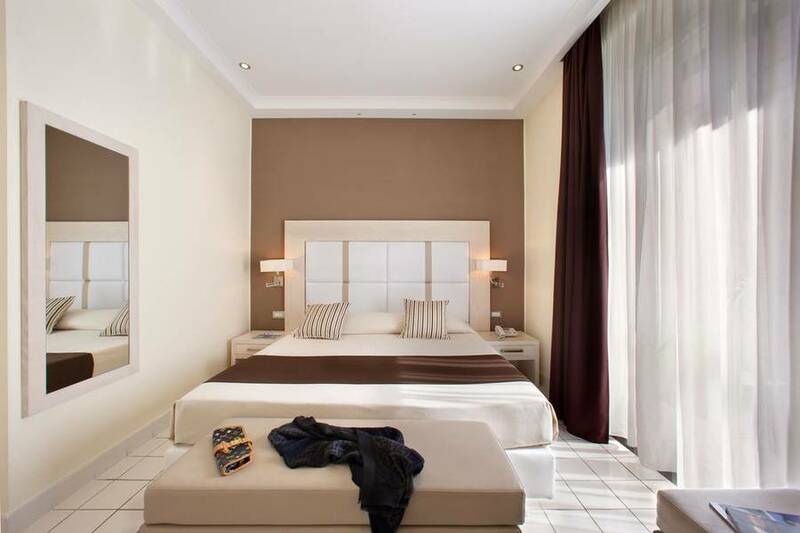 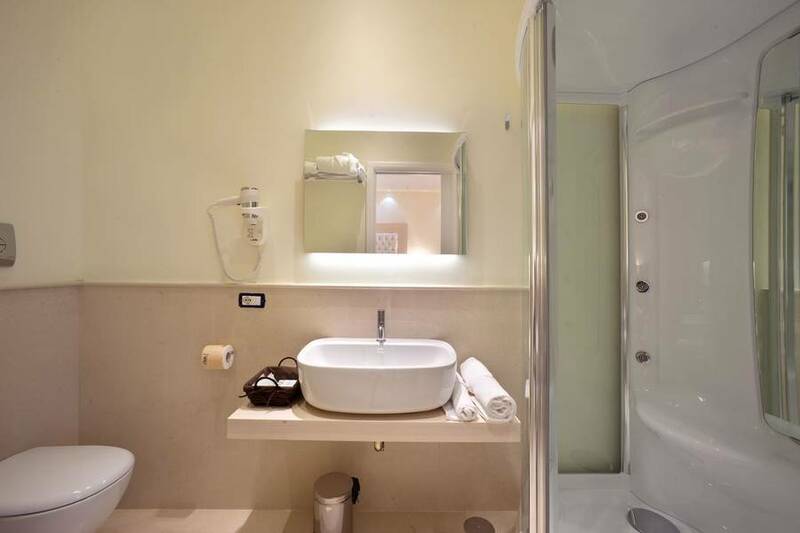 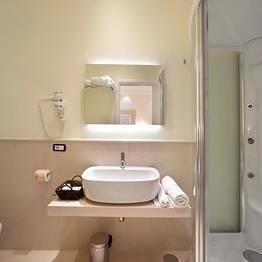 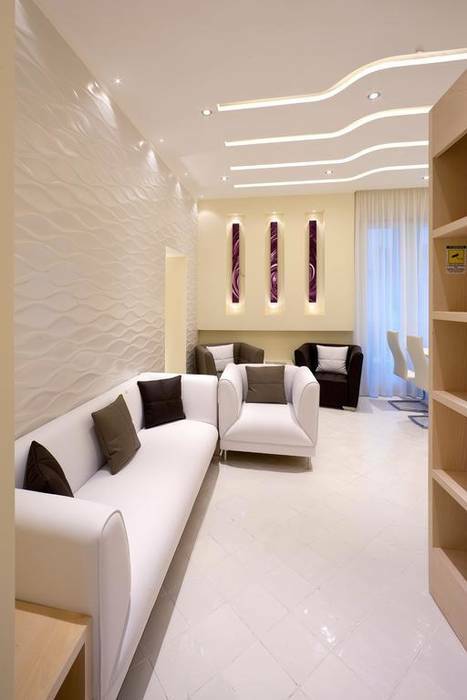 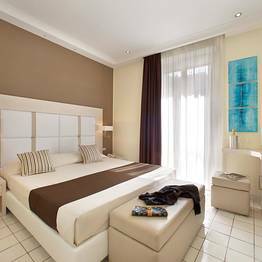 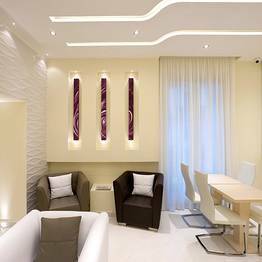 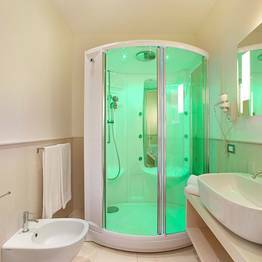 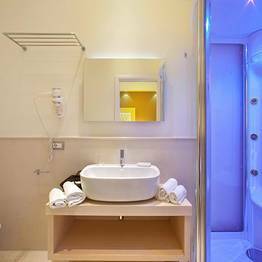 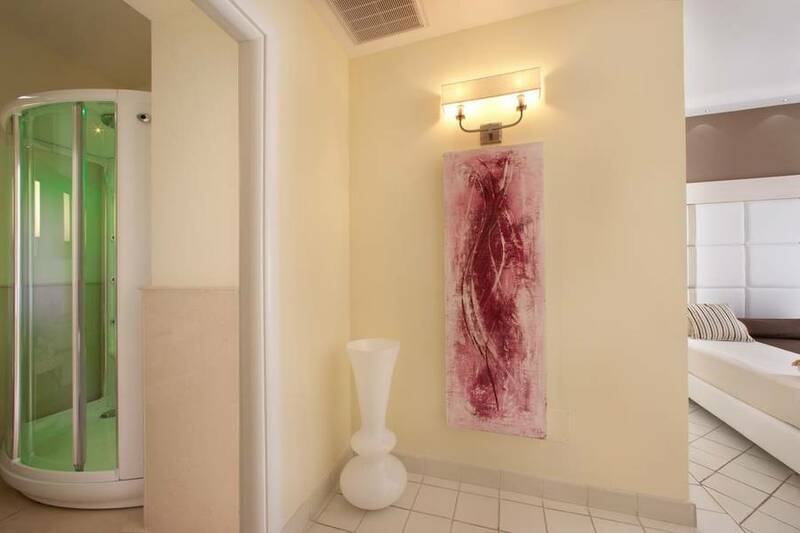 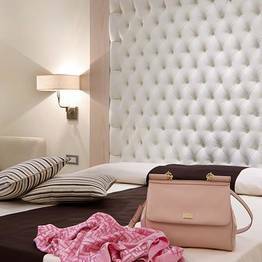 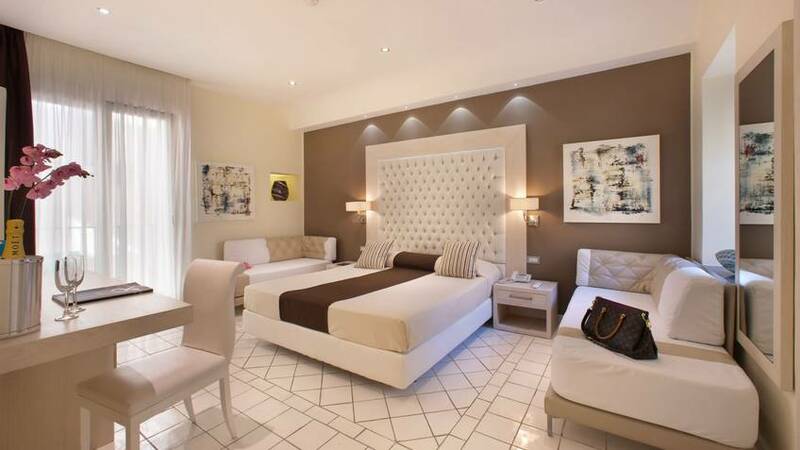 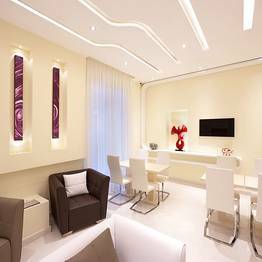 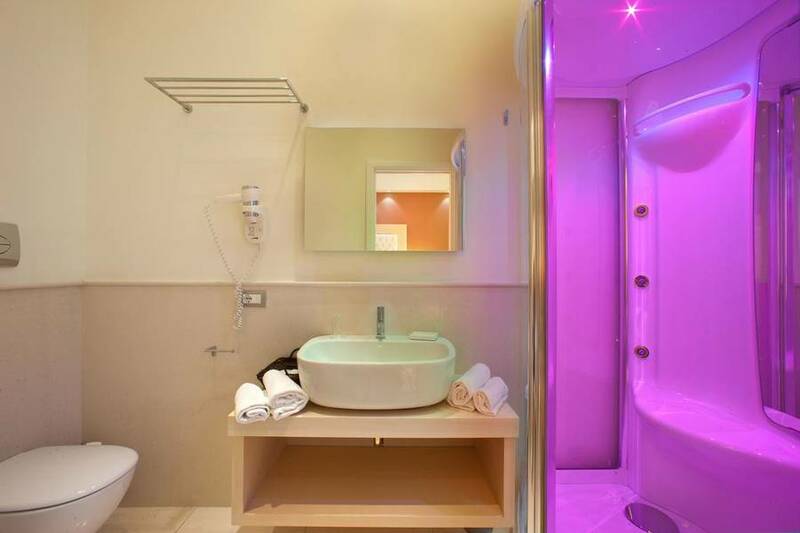 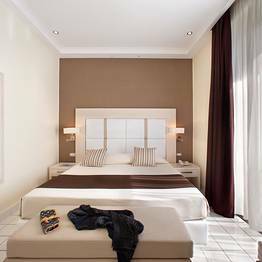 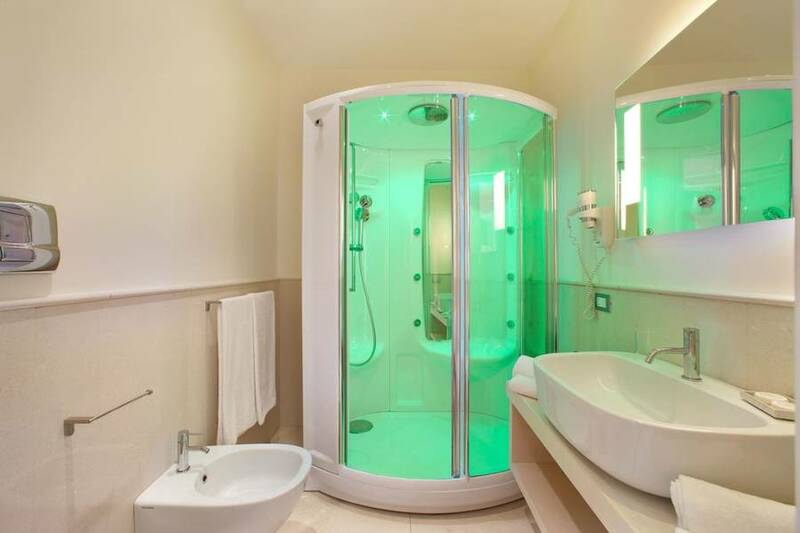 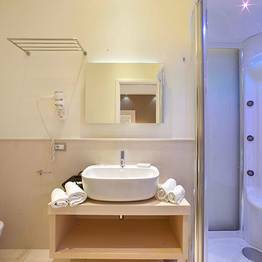 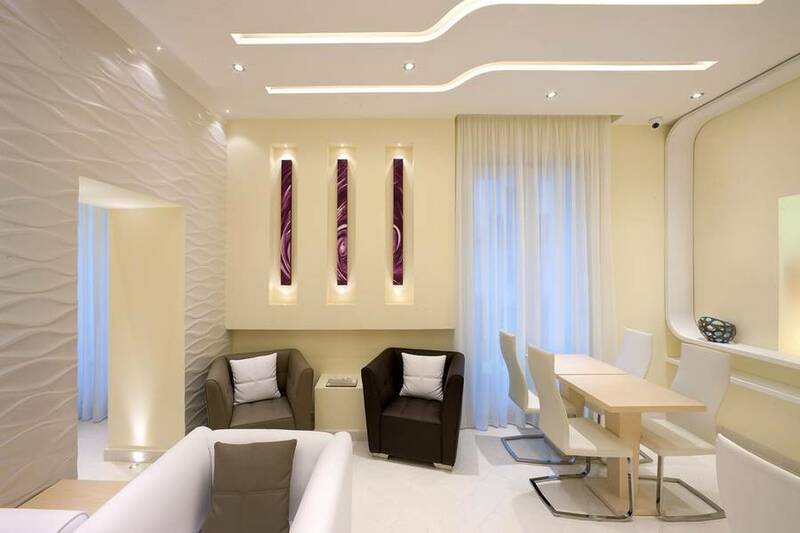 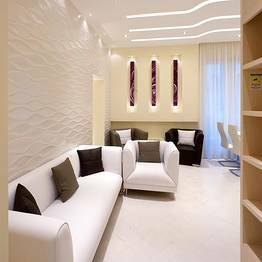 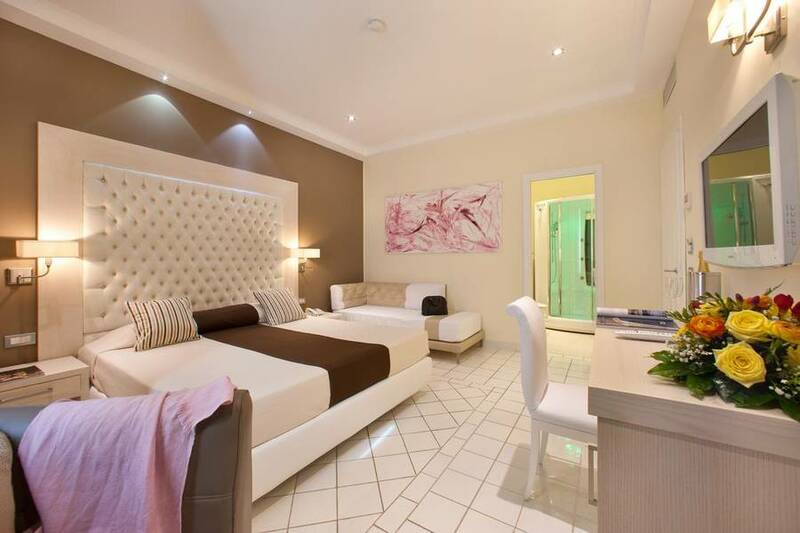 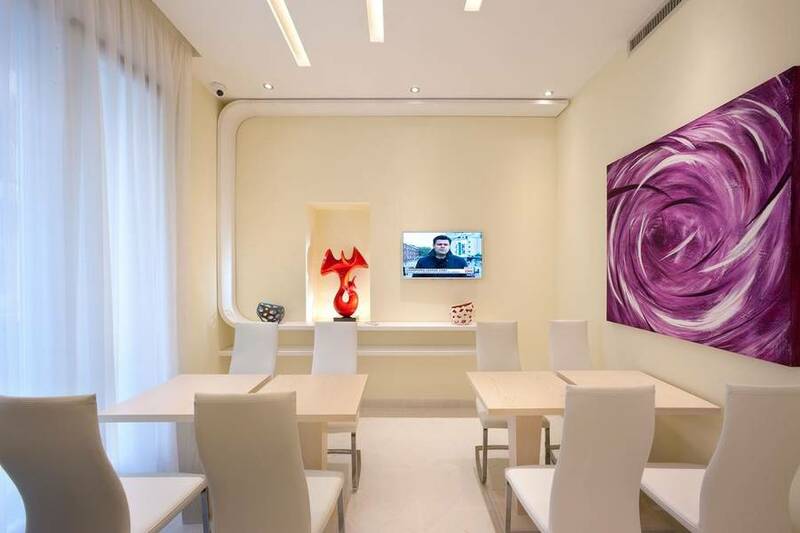 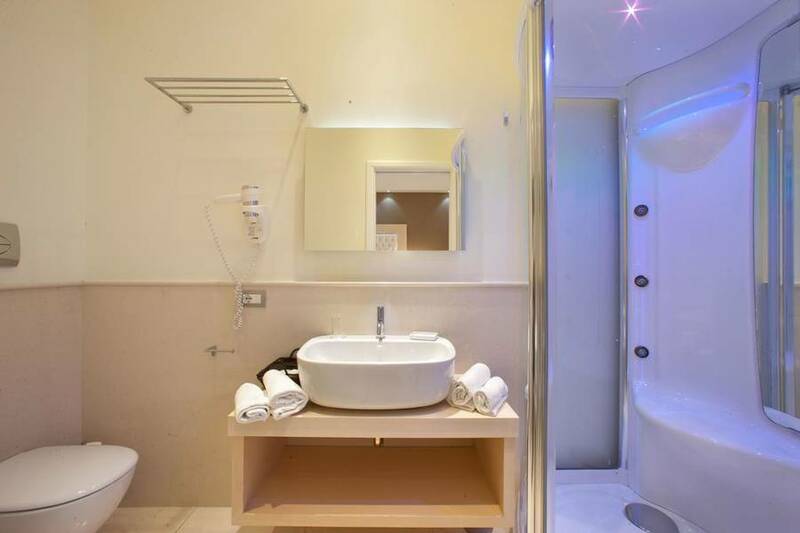 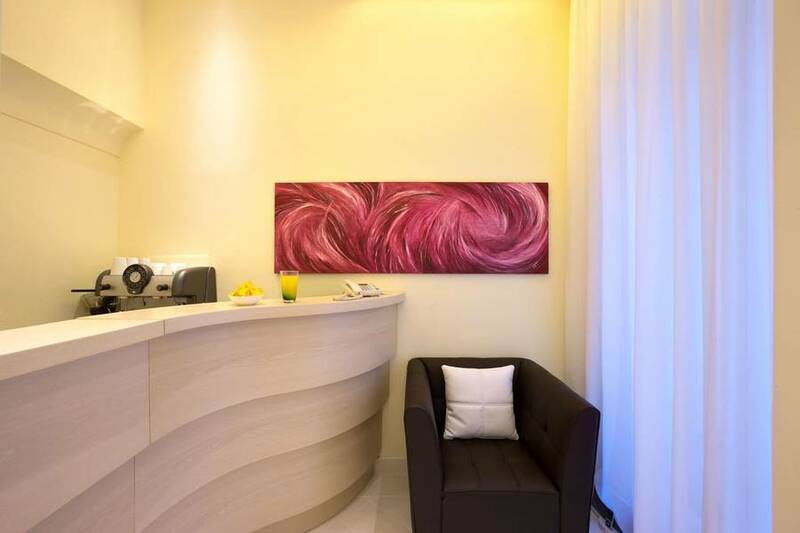 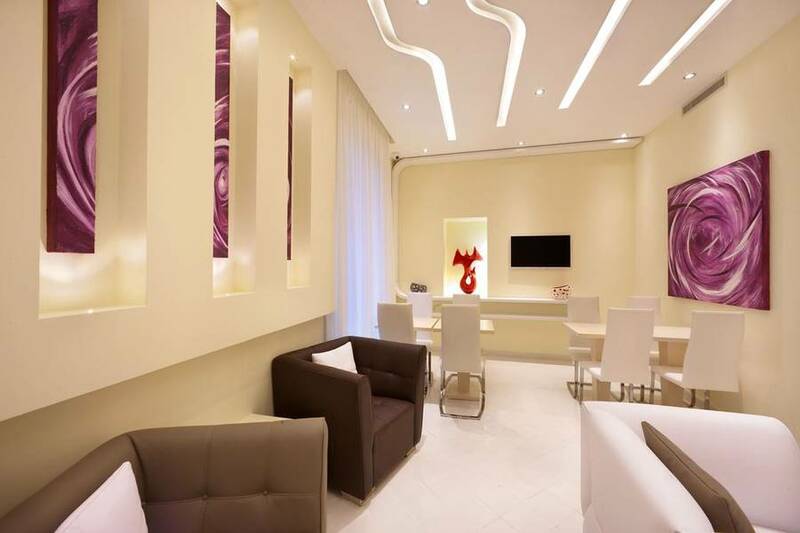 The soothing color palette and LED lighting are perfectly paired, and an ideal match for the colour-therapy showers and soundproofed rooms, so guests can unwind completely in their guest room despite being surrounded by the festive resort atmosphere of Sorrento's center. 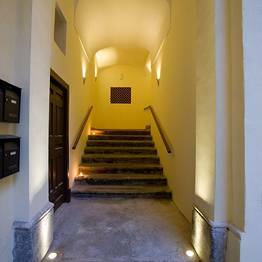 Each morning, breakfast is served in the dining room where the collection of works by artist Jelena Todorovic hangs or, on warm days, on the outdoor terrace at Palazzo Montefusco. 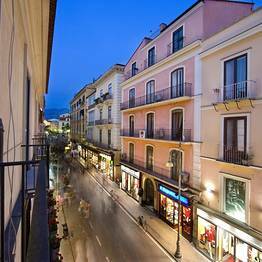 Sorrento is a beautiful coastal town and seeing it by water aboard a private yacht is an unforgettable experience. 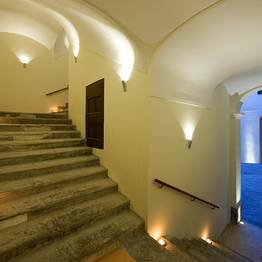 Palazzo Montefusco offers an exclusive yacht moored in Sorrento for guests to use to explore the coast and spend a day at sea, with or without a skipper. 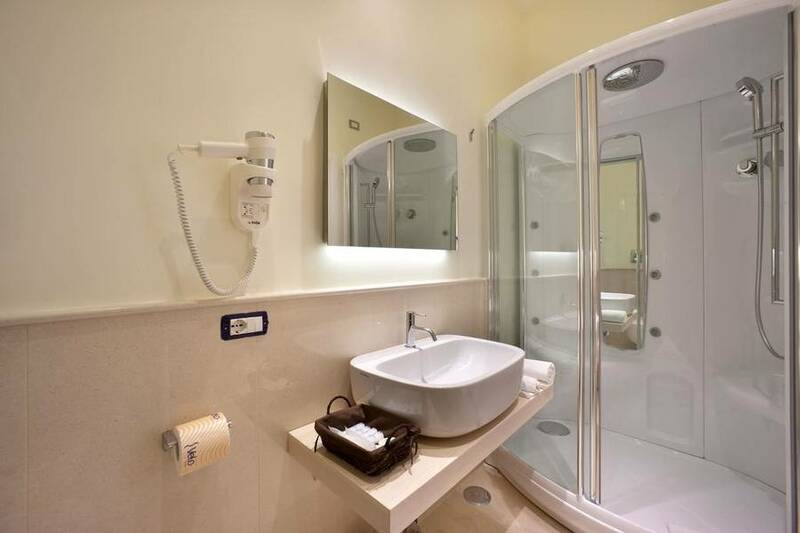 Are you ready to set sail? 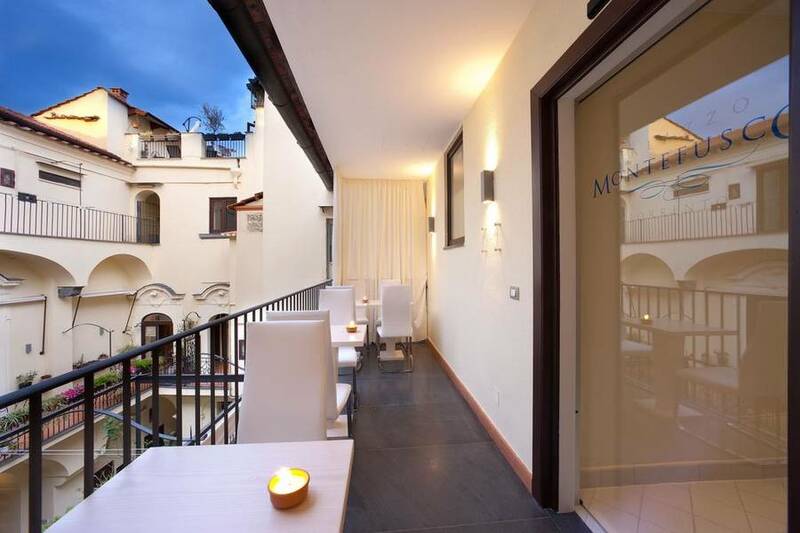 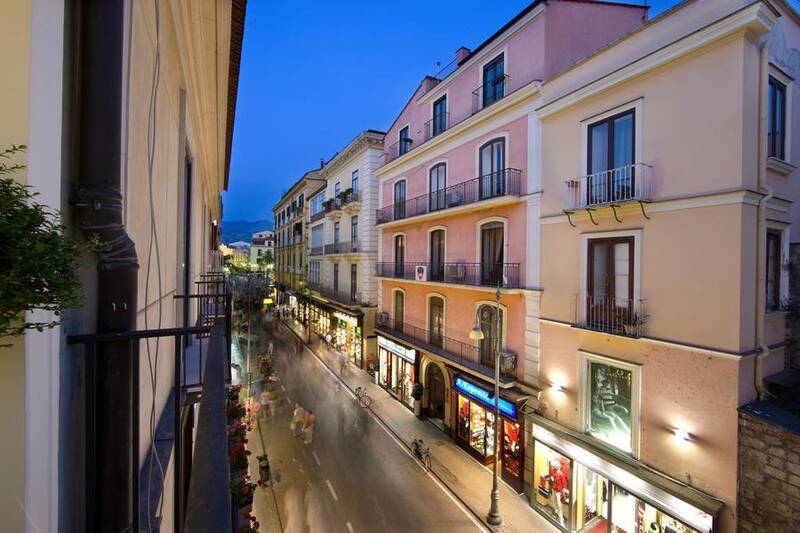 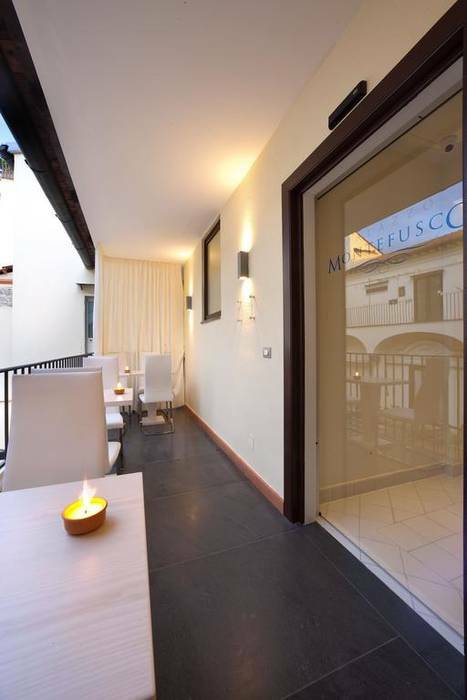 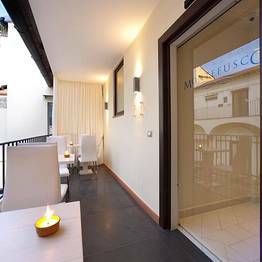 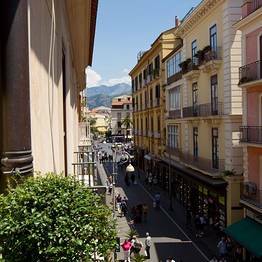 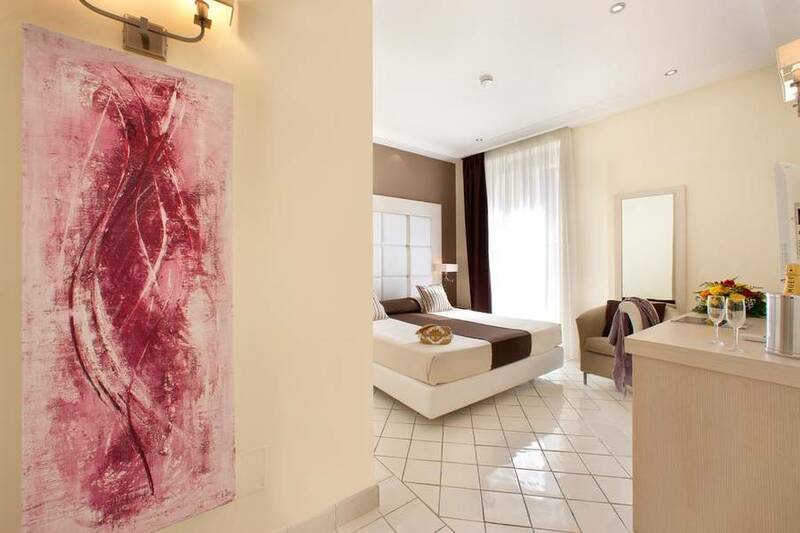 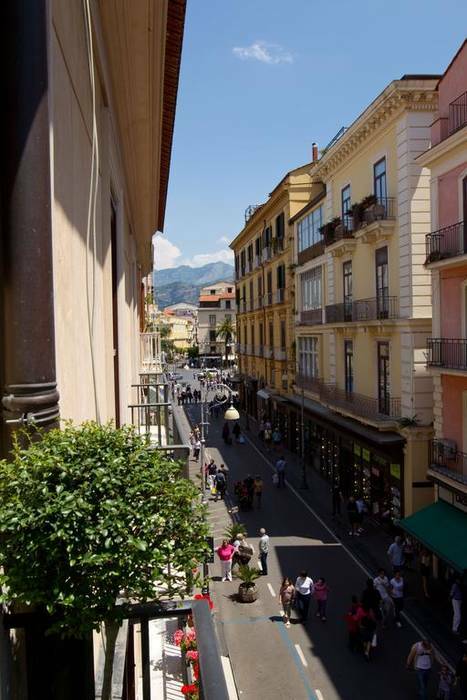 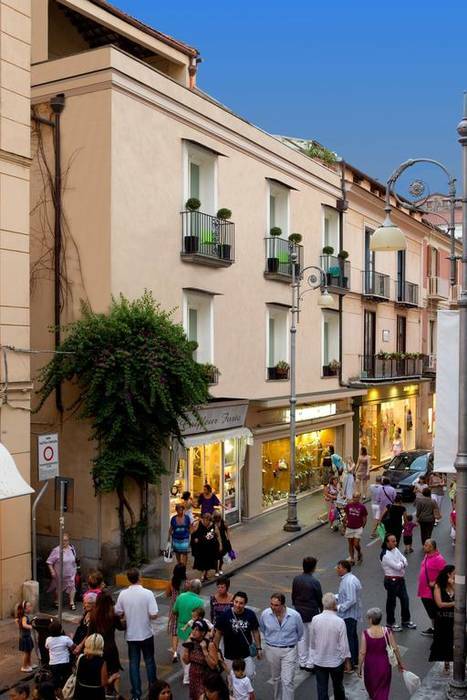 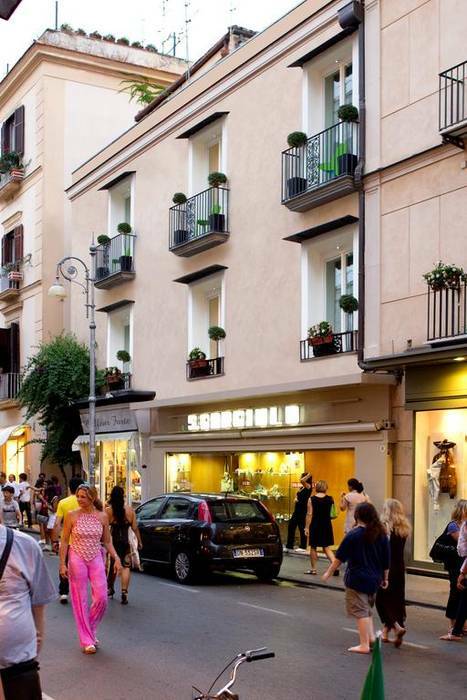 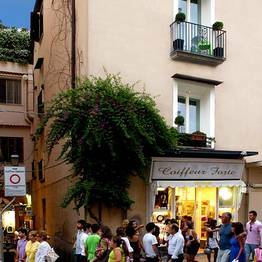 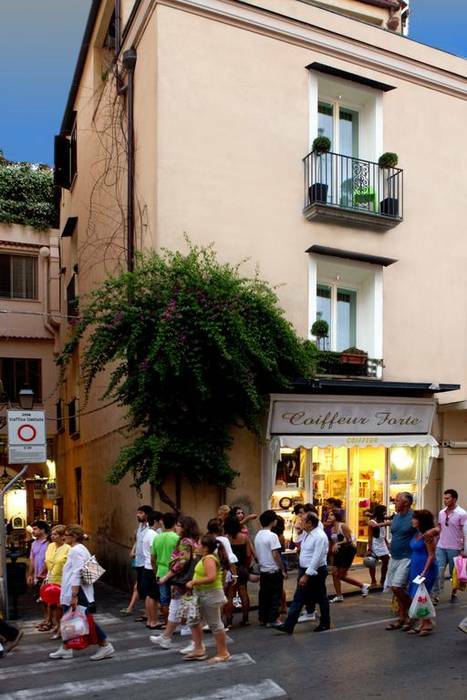 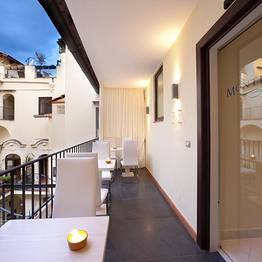 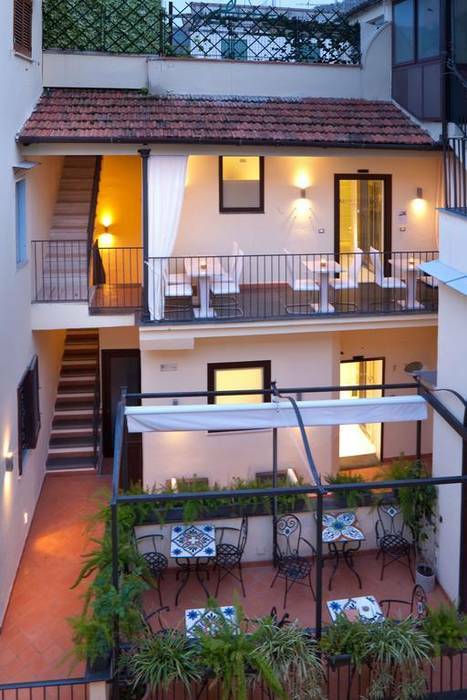 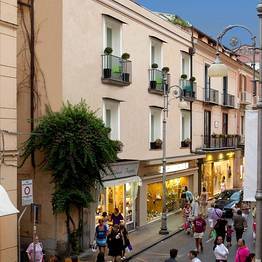 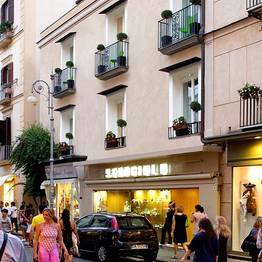 Palazzo Montefusco is located in the historic center of Sorrento on Via San Cesareo surrounded by the picturesque lanes lined with the best shops and restaurants in town. 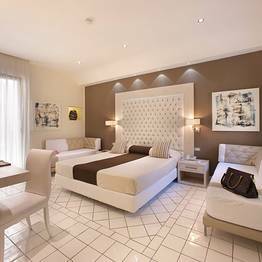 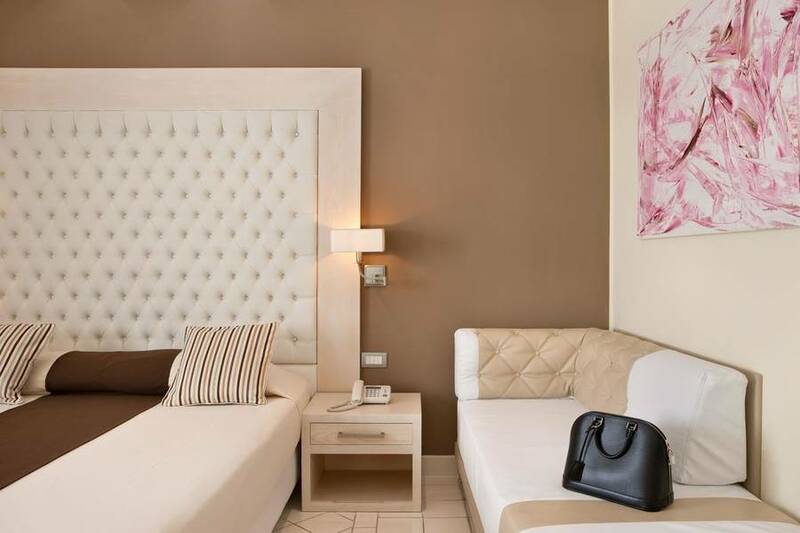 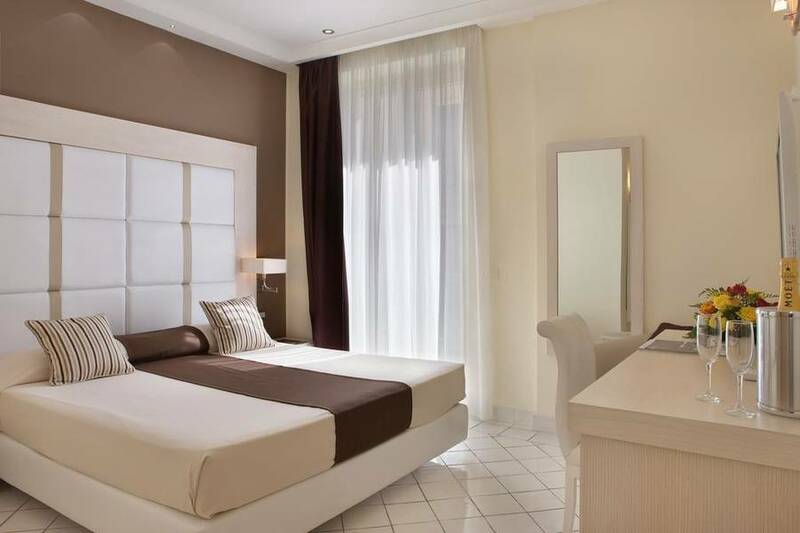 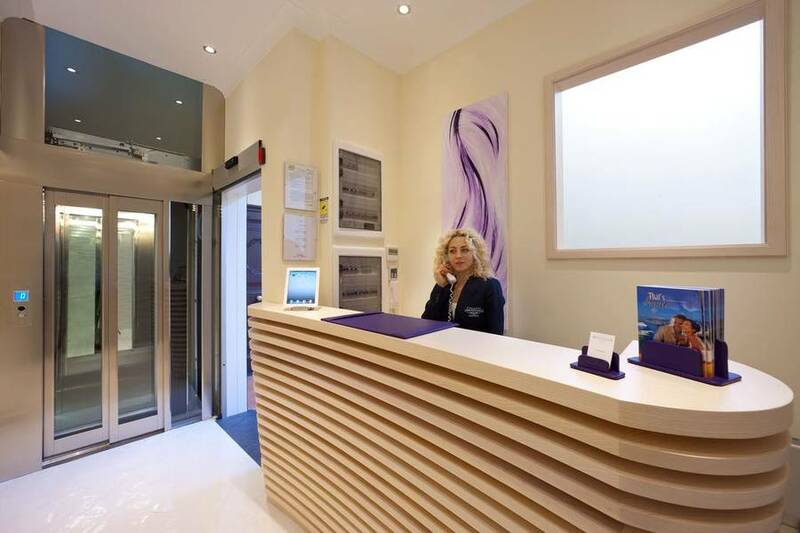 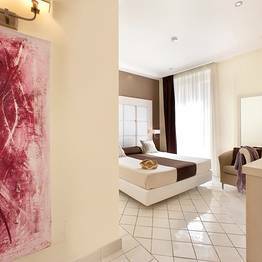 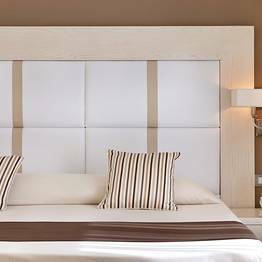 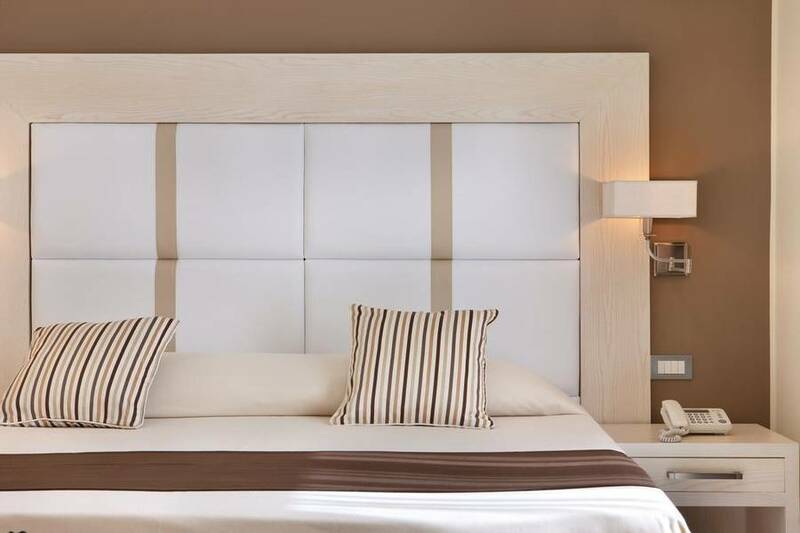 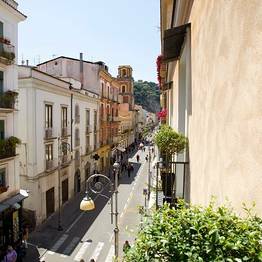 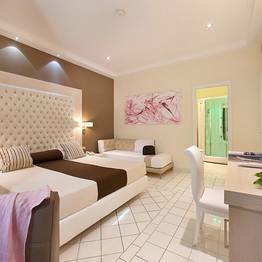 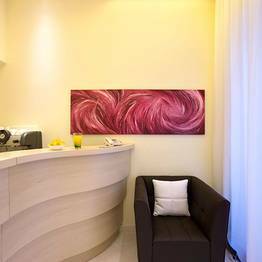 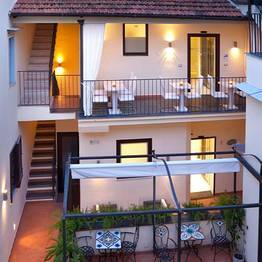 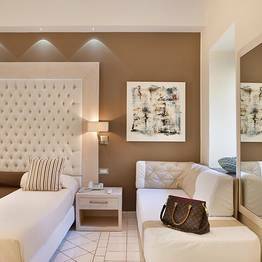 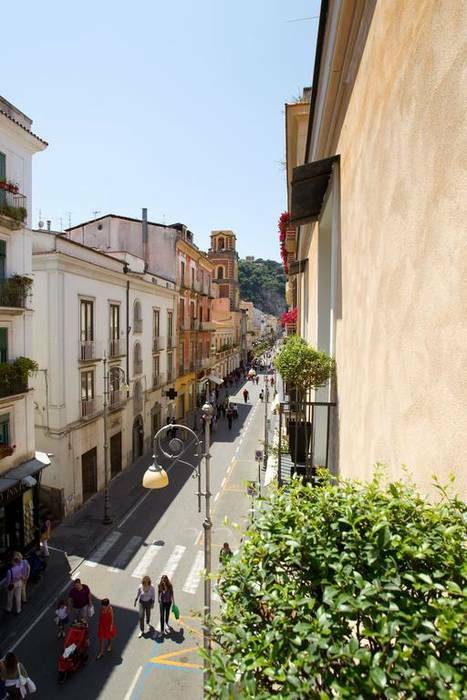 The B&B is ideally located to enjoy the best of the Sorrento Peninsula, including relaxing, shopping, daytrips, and cuisine. 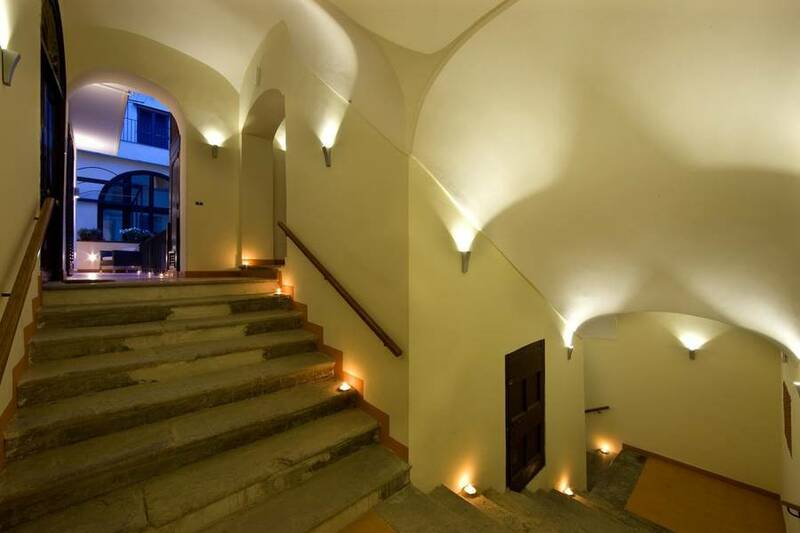 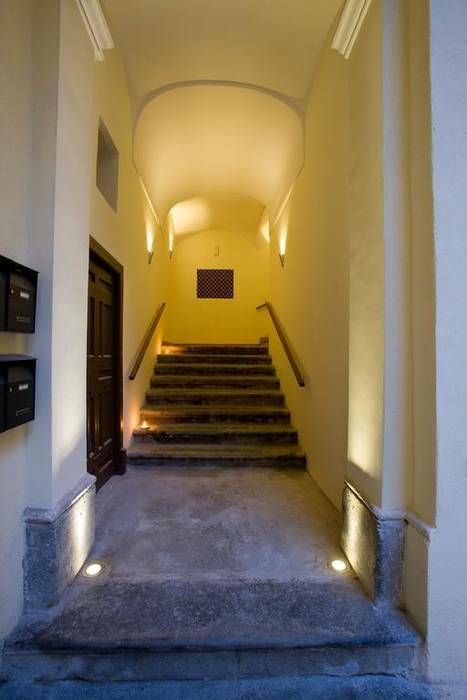 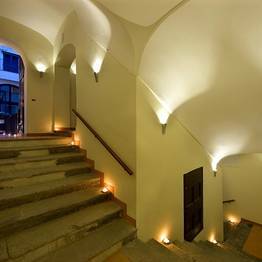 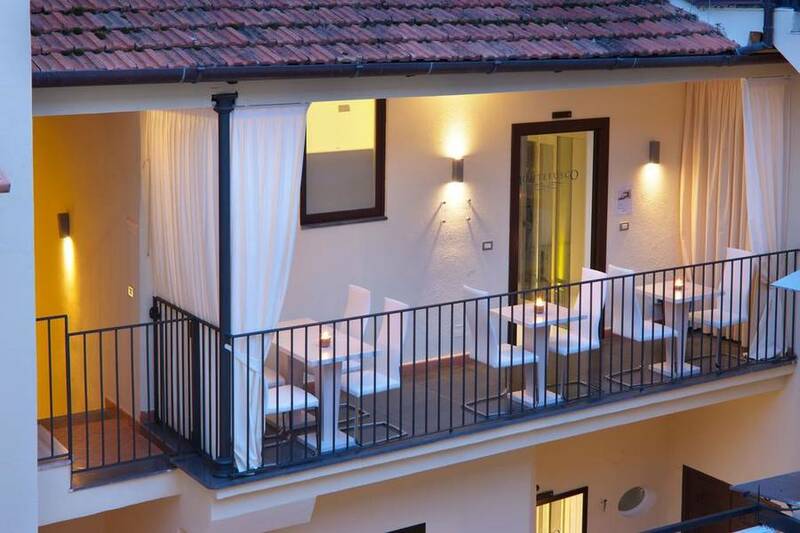 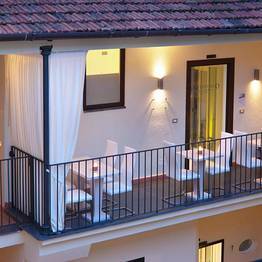 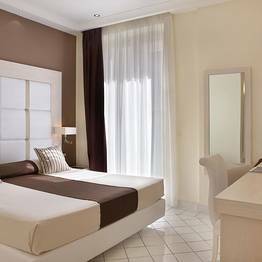 Book Palazzo Montefusco on SorrentoInsider now with no additional booking fees.